Summary: Earth has been invaded by wave of alien monster attacks from the Pacific ocean. 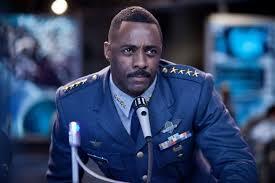 Man’s response was led by Stacker Pentecost (Idris Elba, Captain Janek from last summer’s Prometheus) with the Jaegar program. The tide of the war has turned against Pentecost’s program with smarter and more frequent opposition. Humanity’s survival has only the coastal wall project and four more Jaegar teams to go. The movie’s emotional response had been paced by the action sequences grinding through Alaska, Honk Kong and the Pacific floor. Showcasing scale and loud effects, the movie has a big escalation with second act in Hong Kong. 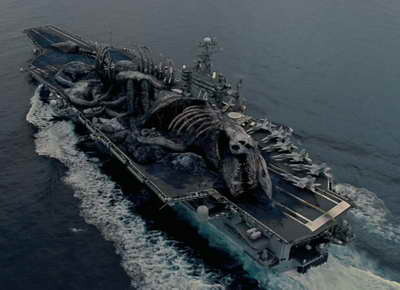 Pacific Rim has encapsulated the childhood joy of watching Godzilla, or any other monster movie for the first time. Critical art no, explosive action that had deserved a big screen and great audio, yes. This entry was posted in Film, Science fiction and tagged film, Science Fiction. Bookmark the permalink.